Ann Putnam, Jr. (1679-1716) – Twelve year-old Ann Putnam, Jr. played a crucial role in the witchcraft trials of 1692 as one of the first three “afflicted” children. Born on October 18, 1679 in Salem Village, Massachusetts, she was the eldest child of Thomas Putnam and Ann Carr Putman. She was friends Elizabeth Parris and Abigail Williams and in March, 1692, she too, proclaimed to be afflicted. Her mother, Ann Carr Putman, a fearful woman who was still mourning the death of an infant daughter, also would later claim that she had been attacked by witches. Also living in the household was Mercy Lewis, who had been orphaned as a child and was distantly related to the Putnams. Working as a servant, Mercy Lewis, like Ann Putnam, Jr. would become one of the most vocal accusers during the trial. Many of the people that Ann Putnam accused were those that her family or the Reverend Parris had quarreled with. Some historians have speculated that her parents coerced her to accuse those they were feuding with or sought revenge on. As one of the most aggressive accusers, her name appeared over 400 times in court documents. She accused nineteen people and saw eleven of them hanged. “I desire to be humbled before God for that sad and humbling providence that befell my father’s family in the year about ninety-two; that I, then being in my childhood, should, by such a providence of God, be made an instrument for the accusing of several persons of a grievous crime, whereby their lives were taken away from them, whom, now I have just grounds and good reason to believe they were innocent persons; and that it was a great delusion of Satan that deceived me in that sad time, whereby I justly fear I have been instrumental, with others, though ignorantly and unwittingly, to bring upon myself and this land the guilt of innocent blood; though, what was said or done by me against any person, I can truly and uprightly say, before God and man, I did it not out of any anger, malice, or ill will to any person, for I had no such thing against one of them; but what I did was ignorantly, being deluded by Satan. She died in 1716 at the age of 37. She is buried along with her parents in an unmarked grave at the Putnam Cemetery in Danvers, Massachusetts. 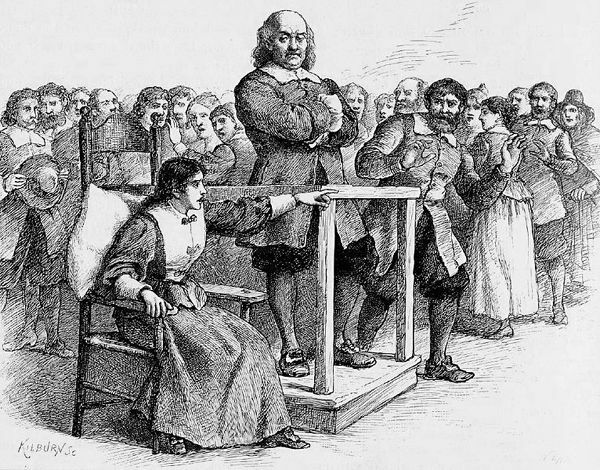 Susanna Sheldon – One of the many accusers, Susanna Sheldon was 18 years-old at the time of the witchcraft trials. Like Mercy Lewis, she was a refugee from the Indian wars and made claims of afflictions for the first time during the last week of April, 1692. Four days following the accusation that Minister George Burroughs was the leader of the suspected witches, Sheldon allegedly began experiencing “strange spectral encounters.” On April 24th, she was the first to identify the wealthy Salem merchant, Philip English, as her tormentor. She also accused Boston merchant, Hezekiah Usher of witchcraft and throughout the crisis, claimed to experience afflictions caused by Goody Buckley, Bridget Bishop, Mary English, Martha Corey, John Willard, Sarah Good, Lydia Dustin, John and Elizabeth Proctor, and George Burroughs. Altogether, Sheldon filed 24 legal complaints against her alleged tormentors. Throughout the trial, she allegedly experienced apparitions from specters who she said tried to persuade her to sign the devil’s book, visions from the dead, visual manifestations of snakes and birds, and symptoms of feeling physically choked and having her hands bound so tight that she could not free herself. Beyond the trial, nothing more is known of her. Mary Walcott (1675-1752) – The cousin of Ann Putnam Jr., Mary Walcott was a regular witness in the witch trials of Salem, Massachusetts. Mary was born to Jonathan Walcott, Captain of the Salem Village Militia, and Mary Sibley Walcott on July 5, 1675. When Mary was young, her mother died and her father married Deliverance Putnam, thus making him the brother-in-law of Thomas Putnam, Jr., who was not only one of the most powerful men in the village, but, also one of the major accusers. Her aunt was Mary Sibley Woodrow, who decided to try some white magic to fend off the evil powers in the village. She had shown Tituba and her husband, John Indian, slaves of the Reverend Samuel Parris, how to make the “witch cake” to discover witches that resulted in Elizabeth Parris and Abigail Williams making their first accusations. For this advice, Mary Sibley Woodrow was suspended from the church; but, was later reinstated after she made a confession that her purpose was innocent. In the meantime, her 17 year-old niece, Mary Walcott, had gotten caught up in the whole witch hunt affair. 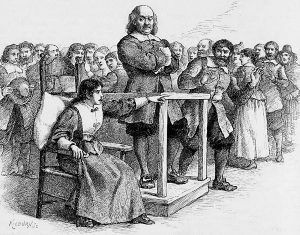 At the trials, while Mary Walcott was not the most notorious of the accusers, her role in the Salem witch trials was by no means minimal. She was said to have been calm in the beginning, but later, critics accused her of being a witch herself, who foiled her potential adversaries by distracting their attention away from herself onto innocent persons. However, Mary was never indicted for this accusation. When the trials were over she married Isaac Farrar on April 29, 1696 and they eventually moved to Townsend, Massachusetts. They had eight children. She died in 1752 at the age of 77. Mary Warren (1671?-??) 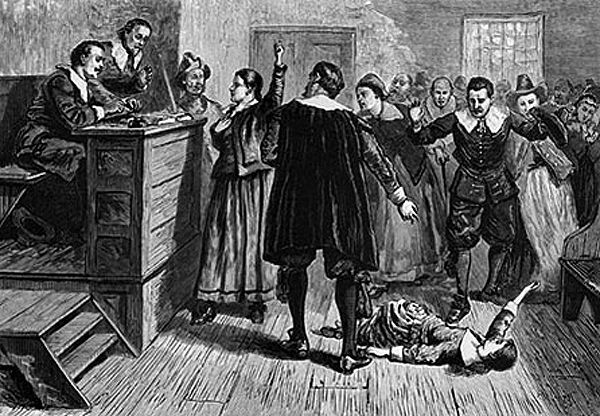 – Born twenty-one years before the Salem Witch Trials began, Mary Warren was the oldest of the “afflicted” girls and became one of the most rigorous accusers. She also became a defender and confessor, a unique role among the accusing girls of Salem Village. Her parents and sister died early in her life, forcing her to become a servant. She was employed as a servant in the house of John and Elizabeth Proctor, who lived on the outskirts of Salem in what is now known as Peabody. The Proctors were opponents of the trials and thought that the accusers should be punished. In early March 1692, Warren began to have fits, saying she saw the specter of Giles Corey. John Proctor told her she was just seeing his shadow, and put her to work at the spinning wheel, threatening to beat her if she had any more fits. For some time, she did not report any more sightings, but she started to have fits again in his absence. Warren was kept hard at work at the Proctor home and was told that if she ran into fire or water during one of her fits, she would not be rescued. After her “fits” stopped, she posted a note at the Meeting House to request prayers of thanks. That very night, Mary said that Elizabeth’s spirit woke her to torment her about posting of the note. On April 3, 1692, Samuel Parris read Mary’s note to the church members, who began to question Mary after the Sunday services. In her answers, she introduced the possibility of fraud on the part of the accusing girls when she stated that they “did but dissemble.” Mary told them she felt better now and could tell the difference between reality and visions. The other “afflicted” girls then became angry with Mary and began to accuse her of being a witch. A formal complaint was filed on April 18, 1692 and she was examined. During her testimony, she was contradictory, telling the high court that all the girls were lying, but continuing to have fits herself. She then confessed to witchcraft and began to accuse various people, including the Proctors. She was released from jail in June, 1692. Her life after the trials is unknown. Abigail Williams (1680-??) The 11 year-old niece of the Reverend Samuel Parris, she and her cousin, Elizabeth “Betty” Parris, were the first “afflicted girls” of the Salem witch trials. Abigail was born on July 12, 1680 but who her parents were remains unknown. Though she was always known as the “niece” of Samuel Parris, this may or may not have been true; but, she probably was some sort of relative. During the winter of 1691, she and her cousin, Betty Parris, began to undertake experiments in fortune telling, mostly focusing on their future social status and potential husbands. They were quick to share their game with other young girls in the area, even though the practice of fortune telling, was regarded as a demonic activity. By January, 1692, Nine year-old Betty Parris began to exhibit hysterics and Abigail soon followed suit. Her uncle, Samuel Parris soon called in a doctor to determine whether or not these afflictions were medical. The physician, William Griggs, had difficulties understanding the actions of the two young girls. Griggs believed it was not a medical issue, rather, he suggested it must be witchcraft. According to Reverend Deodat Lawson, an eyewitness, she and Betty began to have fits in which they ran around rooms flailing their arms, ducking under chairs and trying to climb up the chimney. She and her cousin, Betty, were the first two accusers in the Salem Witch trials of 1692. On February 29th, 1692, three women were arrested for suspicion of witchcraft: Sarah Good, Sarah Osborne and the Parris slave, Tituba. They were all found guilty, but, the only one to confess was Tituba. Since the other two women did not confess, Good was hanged, and Osborne died in prison. Tituba was luckily released out of jail a year later, when an unknown person paid her fees for release. Abigail and Betty’s accusations of innocent people rapidly spread throughout Salem and nearby villages. Abigail gave formal testimony at least seven cases, and she was involved in as many as 17 capital cases, leading to the death of several innocent people.